Shows a beautiful salt-water gatherer, her hut behind her on the seashore. 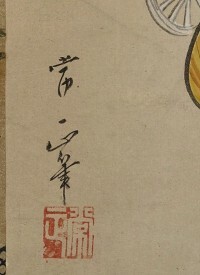 A member of the Kawamata school, he probably worked in Kyoto and specialised in bijinga. Sumi and full colour on paper. Outlines picked out in gold. 32.5 x 10.5 in; 82.5 x 26.5 cms. Fine old brocade mount. Old box. 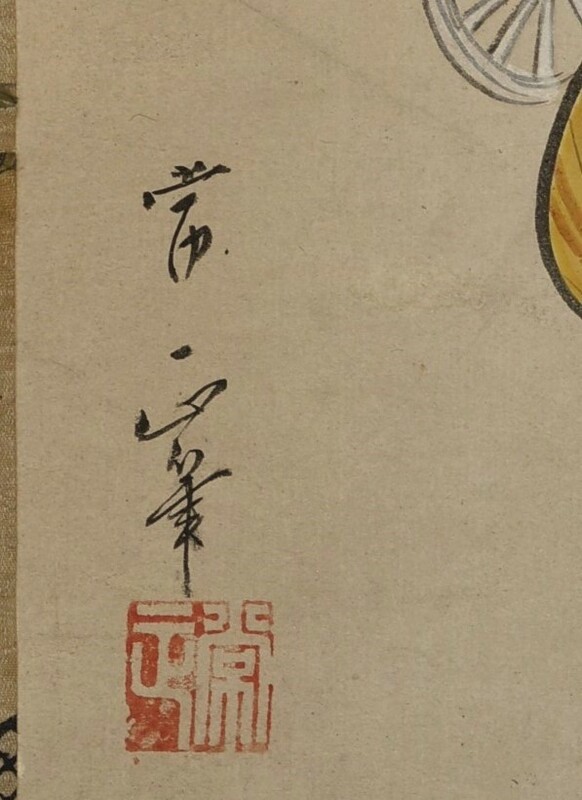 Signed and sealed Tsunemasa.